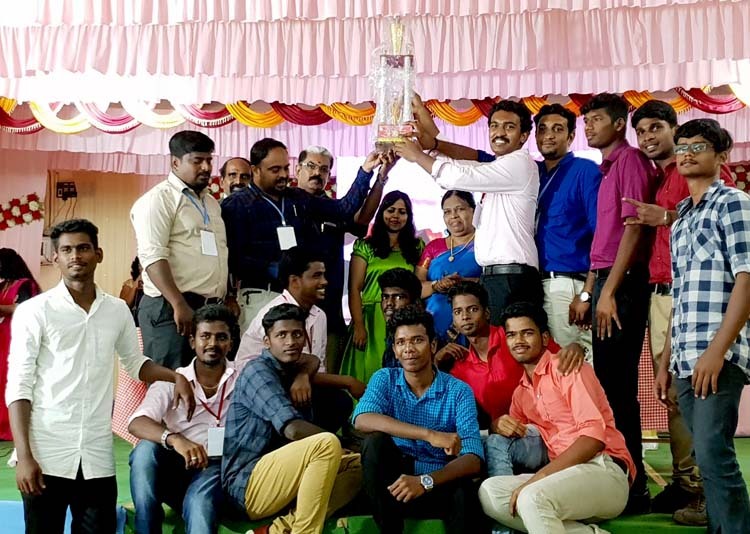 While the vinayaka Mission Homoeopathy Medical college declared as Runner and the Martin Homoeopathic Medical college bagged the fair play award. Dr.V Rufus Nathaniel, principal White Memorial Homoeopathy Medical college welcomed the participants and Dr T.R. Leelabai Rajendran, Chairman, white memorial institutions flown the pigeons as a sign of peace and opened the tournament, followed by a grand parade of the nine colleges Sree Sairam Homoeopathy Medical College, Dr.Hahnemann Homoeopathy Medical College, Shivaraj Homoeopathy Medical college, RVS Homoeopathy Medical college, Martin Homoeopathy Medical College. Maria Homoeopathy Medical college with their college flags then the sportsmanship oath Dr.K.Manikanda Perumal, Dr. Arun.T.